This is a neat little song about a monkey. I’ve come across it in a number of different versions, all with roughly the same tune, but with varied lyrics and slightly altered rhythms. This is the version that I am using. So far I only have one verse, but I have challenged the children to come up with some more. Here’s the thing. It’s a ‘two chorder’; just F and C (or C7, even easier) on a ukulele, G and D on a guitar. That’s well within my abilities to sing and play and teach all at the same time, and perfect for teaching ukulele. And, what’s more, there are two great rhythms embedded into it; the verse rhythm, and the chorus rhythm. 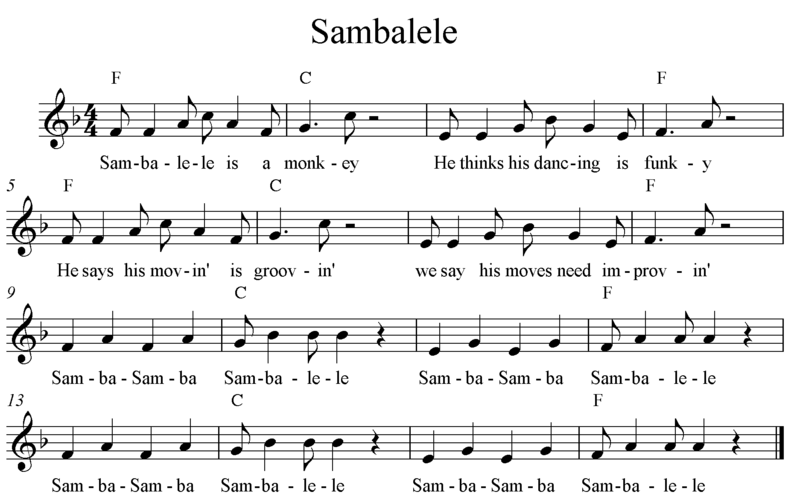 This week I used it in a year 5/6 samba class. We had learned the song last week, so it was just a matter of revising it, before we got to work. First we all clapped the whole song (internalisation, aural memory, pulse skills). Then each of the four groups clapped a line in turn (more advanced skills). We transferred the song to the samba instruments, whole class and then group by group. It made an entertaining, slightly demanding warm-up activity, and extended the life of the song. I can see that we will develop a performance over the next few weeks incorporating singing, instrumental interludes, composition opportunities, maybe some instrumental solos… who knows where this could lead? 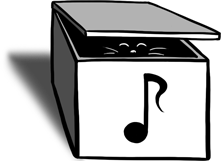 This entry was posted in Djembe, Lessons that have happened, Samba, Ukulele and tagged composition, djembe, internalisation, internalising the pulse, samba, Sambalele, songs, ukulele. Bookmark the permalink.